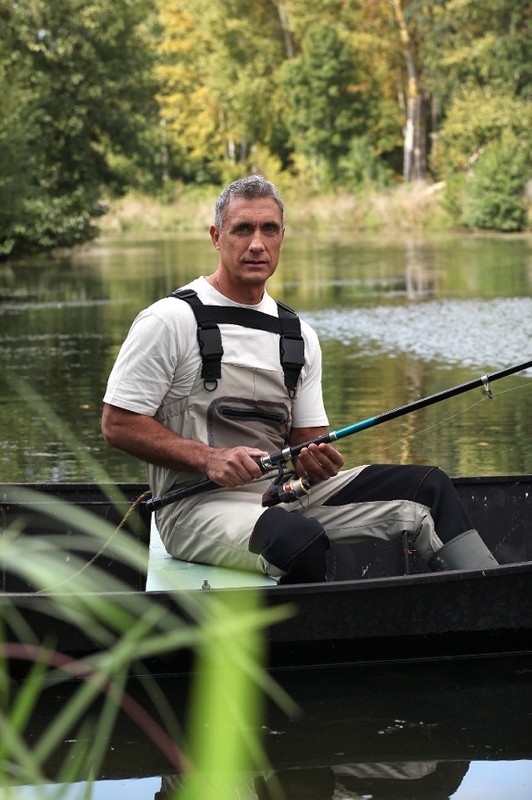 Are you itching to get out on the water? Helen, Georgia and its surrounding areas are well known for offering visitors the opportunity to enjoy a wide range of water sports. From a peaceful morning of trout fishing to an adrenaline-filled afternoon of kayaking through white water rapids and everything in between, there's something for everyone to enjoy while vacationing here. But before you can start having fun on the water, you'll need to know which Helen business places you should visit in order to stock up on all the essentials. To help you get a jumpstart on your river or lake excursion, here's a glimpse at a few of the best places to find the apparel, equipment, and other items you need both in and around Helen. The Chattahoochee River, which runs through Helen, is one of the best places to catch trout and trophy fish. Because of this, many visitors to the area like to spend some time casting their lines and bringing their catches back to their cabin to cook up a fresh meal for the whole family to enjoy. To increase your chances of reeling in something big, you'll first want to stop by Unicoi Outfitters. This well-known Helen business has everything that you could possibly need in order to lure the fish your way. Here, you can purchase fly fishing tackle, fly tying materials, and the largest variety of flies this side of the mountains. Don't know how to fly fish? No problem. Unicoi Outfitters offers several classes, including hands-on-experience with the experts so that you can gain the confidence you need to acquire a new skill. Maybe you want to canoe or kayak down the Chattahoochee, but you don't want to have to lug boats, paddles, lifejackets, and other essentials along on your trip. If this is the case, all you need to do is stop by Wildwood Outfitters. Not only will this Helen business provide you with everything that you need, but they'll also help you to select the right trip for your skill level so that novices won't find themselves out of their league, and old pros will be challenged enough to have a great time. If you're looking for a real adventure, you might consider spending one night away from your cabin, and camping under the stars after a day of rowing down the 'Hooch. To make things easier, Wildwood will provide water, eating utensils & dinnerware, as well as snacks that will be delivered right to your campsite so that you don't have to carry bulky items with you on the water. Another hot spot for fly fishing, Tritt's Sporting Goods will help you to get set up with all of the equipment and gear that you'll need to catch your fill of trout - and then some! Located in nearby Dahlonega, Tritts sells reels, rods, fly lines, fly ties, tackle, and apparel. Whether you want to try your hand at fly fishing, or enjoy catching trout the good ol' fashioned way, the experts at Smoky Mountain Trader in Cleveland can direct you to all of the equipment and supplies required to ensure that you're successful in your endeavors. Stock up on fishing rods, lines, bait, tackle, apparel, and everything in-between all at one convenient location. The Blue Ridge Mountains are a sight to see, and many visitors to the Helen area feel that it's worth the short 1-hour journey to take a drive up to Blue Ridge, GA for a fun day trip. If you're one of these folks, you'll definitely want to visit Lake Blue Ridge Marina. Here, you can enjoy a relaxing day on a pontoon with family, rent a wave runner, go paddle boarding, or try water skiing. Stop at the store first to rent watercraft, buy the board of your choosing, purchase food, drink, and other supplies for your pontoon excursion, and pick up sunscreen and caps to protect you from harmful UV rays. Just 45 minutes from Helen, Young Harris Water Sports offers excellent opportunities for getting out and enjoying the water. Stop by the wake shop in order to pick up life jackets, apparel, and sunscreen so that you can safely and comfortably enjoy the exhilarating experience of kayaking, wake boarding, jet skiing, water skiing, and more. 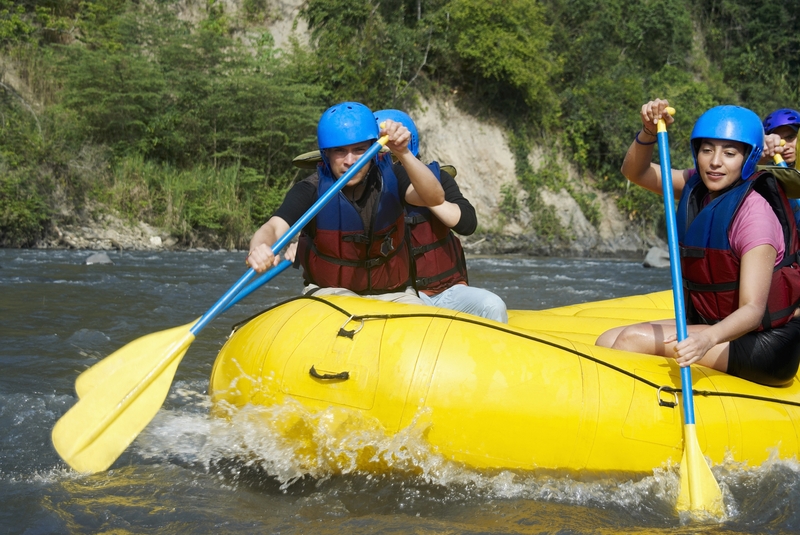 Which Helen business places to you visit on order to get set up with all of your water sport equipment essentials?